With Ecwid, you can add a store to your website, social media page, to marketplaces like Amazon – or to get a free e-commerce website with a built-in online store. We call it Starter Site. It comes in handy for those looking to establish a web presence. With the help of an intuitive editor, it’s possible to create a website with no coding and in no time. 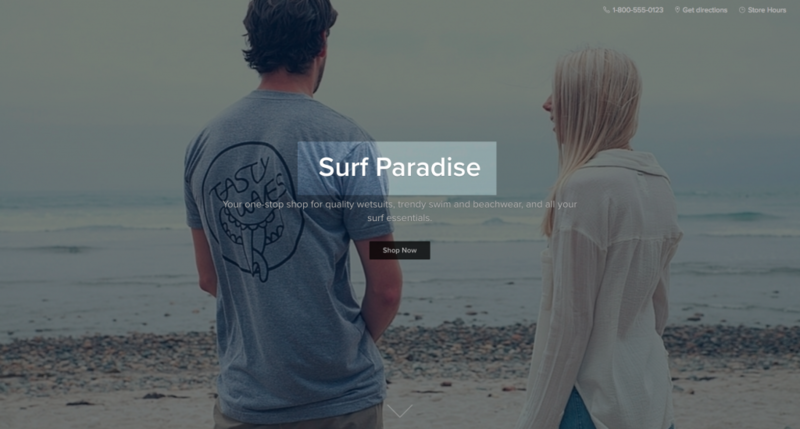 Starter Site is based on customizable blocks that you can design to tell your business’s story. If you want to explore all the Starter Site opportunities, this guide will walk you through setting up your free e-commerce website step by step. To begin, log into your Ecwid Control Panel and go to Sales Channels → Starter Site. Then click on the Edit Starter Site button — here we go. Our brain gets 90% of all the information in a visual form. A stunning cover picture will tell your visitors where they are and spark their interest in your store in a second. It’s a win if your cover image represents your product in action. If it’s hard to showcase your product (for example, because you sell e-goods), refer to free stock photos for a professional entourage picture. Look for a high-resolution image starting from 1200 px wide for your cover image. When you’re choosing your cover image, make sure that your title doesn’t fully cover your product’s important details and that it’s a clear image. Eventually, it’s up to you to decide what exactly it should say. It might be a brand name only, or it might not contain a brand name at all. In any case, the title should help the visitor understand if they are in the right place. Make it actionable and SEO-friendly (for example, Green Farm: Shop fresh local vegetables online) for more clicks and scrolls. The subtitle is the best place for a punchline, or in e-commerce terms, the unique selling proposition. It serves to help your customers understand what you offer and how it’s different from the others. It’s okay to take advantage of two or three lines of text here if they can convince the visitors it’s the best place to buy what they came for. First of all, get one. It’s a big investment in making your business recognizable. There are at least six ways to get a logo, from free to professional and expensive. The best size for a retina-ready logo picture on a Starter Site is 600×600 px. Make sure you’ve protected your brand and the logo is not only unique but also safe. Pro tip: Ecwid’s free Starter Site is the perfect fit for a landing page on which you want to sell just one product (or test your new products). Just like in the subtitle, you need to add personality to your e-commerce website, but in more detail. What can put a business forward, apart from low prices and high quality? Have the widest range of colors in the market, etc. We offer a high-quality product. Our product is made of certified, organic, raw materials from Georgia. Everyone hears and sees a lot of marketing phrases these days like high quality, “low prices”, “fast delivery”, and “best service” — and they are usually discarded as nothing but a buzz. Just like in any other case, it’s much more effective to use proof instead of buzzwords in this section. The majority of online shoppers consider customer feedback as a social proof. Excited by the coming launch of their own business, sellers might compose a dozen reviews to be on the safe side. They often neglect how good people are at recognizing fake reviews. Some customers wouldn’t be impressed enough to buy; others would leave the store to look for a more honest seller. So rule #1 is: publish real feedback. Friends and relatives might be able to help, but make sure they stay honest and say more than empty exclamations like cool, awesome product!. You can also get feedback from the comments section on the Product Details page. If there’s no feedback yet, you can simply hide this block or add your own quote to get even more personal with your visitors. Just don’t forget to replace the stock picture that is provided as an example! This section especially matters for startups. 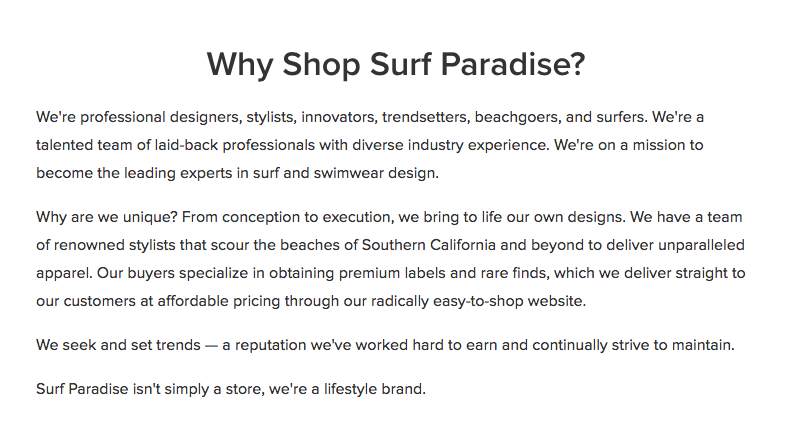 If someone from the press enters your website and eventually gets interested in your product, your About Us section will serve as a short interview. Depending on how much this part impressed the reporters, they might contact you to make a sensation out of it. Beyond being a place to educate and inform curious shoppers, it’s often the first step toward establishing a relationship with new customers. Think of it as the place where you get to introduce yourself as the face behind the brand for the very first time. For the store owner picture, use an image of 512×512 px. Pictures with one person are the best because they can’t confuse the visitors. Why add a physical address on the map if you sell online? — you may ask. Here’s the answer. 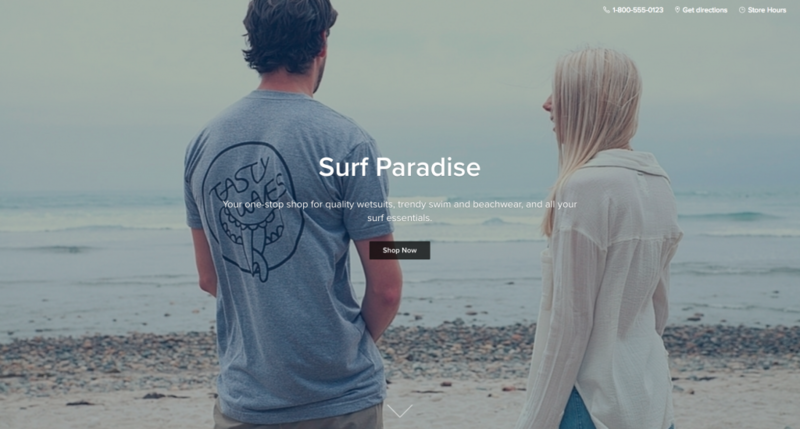 Many businesses use Ecwid’s Starter Site to launch their first online store. That means they haven’t got any seller’s reputation at that time. Displaying a physical address demonstrates the reliability of the store owner. Also, it may be the address for returns, refunds, or in-store pickup. You can hide the address section if you feel it’s not relevant to your business. Don’t forget to add your contact info and set up social buttons: change links to your business profiles and save the changes. Otherwise, your customers won’t be able to follow you on social media and they might forget about your store. Add your phone number and it will appear on the top of your e-commerce website (above the fold) together with the links to your physical address and business hours (if you fill and enable those sections). By default, the name of your Starter Site will look something like this: store12345.ecwid.com. Instead of 12345, it will contain your own store ID. That says nothing to your potential customers. You can replace your store ID with the actual store name for free, e.g. goodbooks.ecwid.com. That will make the link more recognizable, SEO-friendly, and better-looking. It’s also possible to connect your Starter Site with a custom domain name (e.g. goodbooks.com) on paid plans. You can make all the necessary changes to your store URL address in Control Panel → Settings → General → Store Location. Note: Apps for customizing your storefront like Promo Bar, Coupon Popup, and more, are compatible with Starter Site too. Don’t forget to have a look at the Ecwid App Market to extend the functionality of your Starter Site. That is basically it – now you can build a selling website with your own hands. Congratulations! Share links to your Starter Sites in the comments, and I’ll be happy to give advice. Or, and have a look at Ecwid 101 to get the idea of the ways to sell with Ecwid.